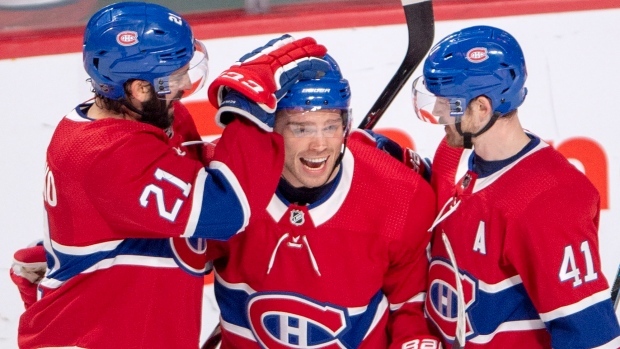 Domi scored two of the Canadiens' three second-period goals -- all within a span of three minutes and 39 seconds -- with Drouin assisting on both. "The game was right there for us," said Senators forward Mark Stone, who scored one of Ottawa's two goals. "We just didn't play smart in the last five minutes of that second period." The Senators' road record fell to 3-9-1, with just one road win in their last five games. Anderson had no answers when asked why the Senators haven't had more success away from home. "Not sure," Anderson said. "You got me stumped. I don't know, other than line matchups, there's really not a whole lot different between home and the road." Drouin scored with 5:30 left in the opening period as he and Domi used their speed on a two-on-one against Senators defenceman Cody Ceci. Domi sped up the wing before feeding the puck to Drouin, who backhanded it through Anderson's legs. DeMelo tied the game in the second period, wiring a one-time pass from forward Mikkel Boedker from the blue line that Price couldn't get to. NOTES: Gallagher was named the 2017-18 recipient of the Jean Beliveau Trophy for community involvement before puck drop. ...The Canadiens wore jerseys with nicknames on the back during warm-up. The jerseys will be autographed and auctioned off, with proceeds going towards the Canadiens Children's Foundation. ... Brady Tkachuk has been held without a point in three games, his longest drought of the season.